Improving math learning in school is something that you can do by reducing anxiety first and foremost. 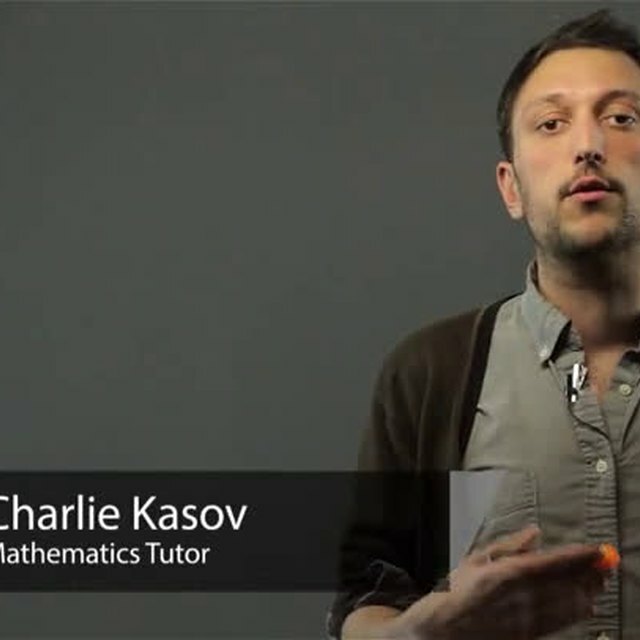 Improve math learning in school with help from an experienced math professional in this free video clip. 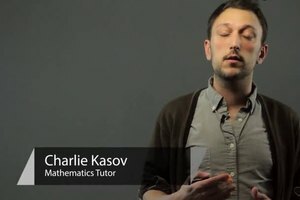 How to improve math learning in school? 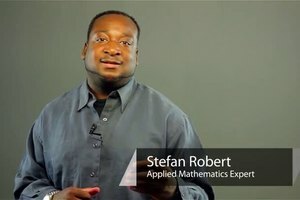 I'm Bon Crowder with MathFour.com, and we're going to talk about how to improve math learning in school. The first thing to do, is to reduce anxiety. And I know this is kind of obvious that you want to do with the kids, but it's more important to reduce anxiety for the grown-ups involved. Research shows that the most anxious college students are pre-service teachers. So, reducing the anxiety of all the grown-ups, all the teachers and all the parents is really important. One of the ways we can do this, is with positive math talk. 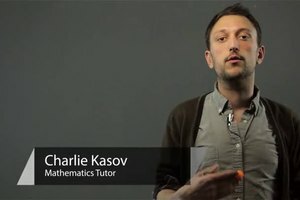 So, if you find a source to give you some inspiration to do positive math talk. Then, you're going to really improve the anxiety levels or rather decrease the anxiety levels, if you practice that positive math talk. Some ways to do that are to make sure that you say things like, hey, look, you're doing your math homework, that's great. I've always enjoyed math. Even if the teachers or the parents have to kind of fib a little bit on that. That positive math talk is very important. The next thing is, don't use math as a punishment. If a student needs extra work or some enrichment, don't give them extra worksheets. And if you say, if everybody's talking, then I'm going to give you another worksheet to take home. That's some severe punishment using math. Math should be enjoyable and fun, don't make a punishment out of it. Autonomy, mastery and purpose, those are the three things that really get students engaged. Autonomy means they get some choice in what they want to do. So, offer different options to students. Do you want to do more word problems, do you want to do less word problems, do you want to focus a little bit more on this section or that section? Of course, we have to focus on certain sections anyway. But we could actually allow students to delve deeper into some of their own choice areas. Mastery, it's really important that they feel that they get it. So, one of the ways that you can do that, is you push them just far enough and pull back right before they're completely frustrated. So, you push them right to that edge and then they, whatever that is that they get, pull back and let them feel that mastery. Purpose is an interesting one because a lot of times people want to see students to see the value outside of their own world or in their own world, outside of the classroom. The thing is with purpose, is that some students need to see the actual application, the real world. But for some students, the purpose is in the playing of the games that are math. So, tap into what your student or your child really really wants to focus on and what their purpose is. Do they like the gaming aspect? Because that may be their purpose. Do they like science better, maybe history? They could actually read history books about mathematicians and that gives them a purpose to actually focus on the math. Keep in mind that math is not a competition. A lot of people compare grades, but grades are not what it's all about, it's really about learning and it's not a competition. So, discourage competitiveness in your math classes. And last, always encourage that curiosity and investigation. A lot of students feel like there's a right answer and a wrong answer in math. And yes, there are times when, o.k., so there's a specific answer. But a lot of times it's really that curiosity and imagination and that investigation that goes into things. That you go, o.k., so what's really happening here, how can we look at this? So, don't play the make right, make wrong game. Allow them that investigation and to see what's going on. And those are a bunch of different ways to improve math learning in school. 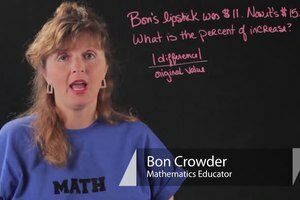 I'm Bon Crowder with MathFour.com, good luck with that.